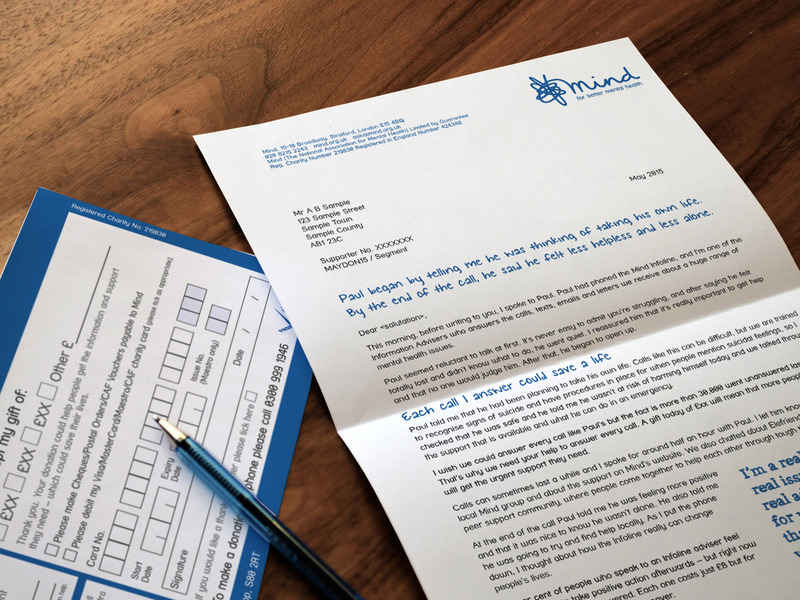 Since 2007, Flying Kite has designed many of Mind's direct mail letters, donation forms, envelopes and leaflets. Following brand guidelines, we provide Mind a fast, low-cost and bespoke creative service. 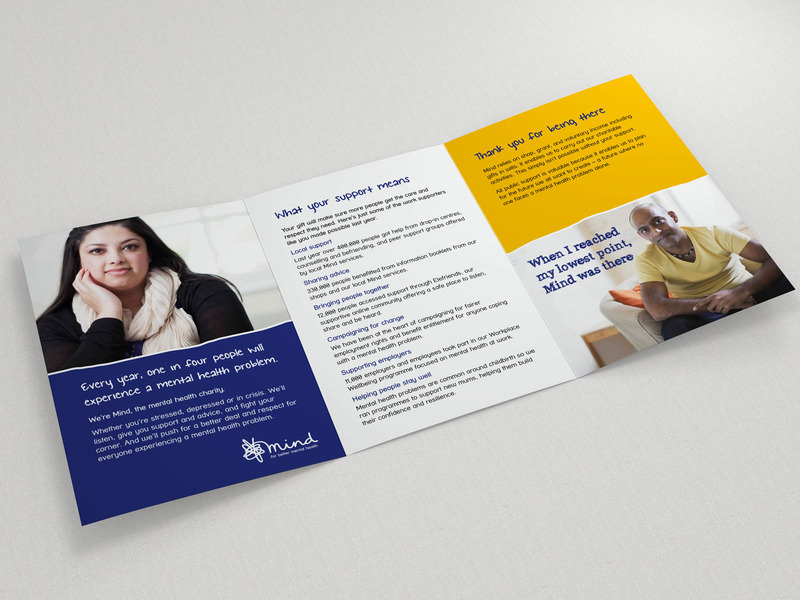 Flying Kite has years of experience in creating effective direct mail letters, donation forms, all kinds of leaflets, newsletters and envelopes. 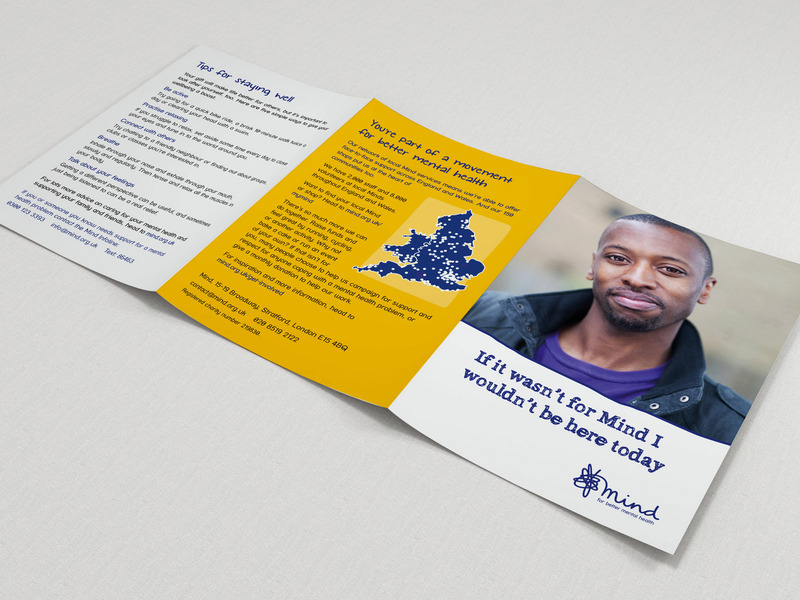 By sourcing printers separately charities can save thousands on their fundraising costs.